The CTD data from the Stainless Steel Frame were supplied to BODC in 89 PStar files and converted to the BODC internal format (QXF). The PAR data was not supplied by the Data Originator. Two Conductivity-Temperature-Depth (CTD) units was used on D351 to produce vertical profiles of the temperature and salinity of the water column. In total 101 CTD profiles were conducted during D351 using a combination of Stainless Steel and Titanium framed rosette systems. 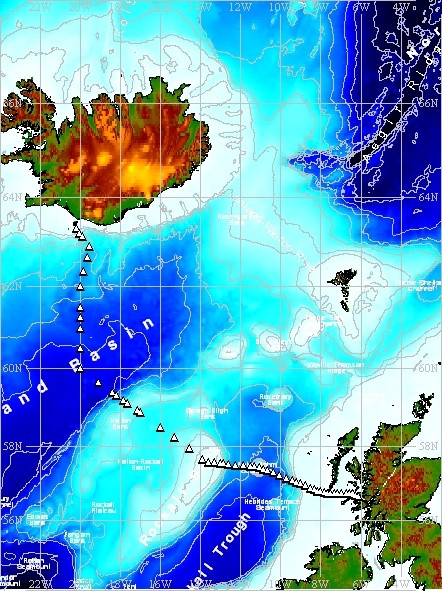 62 CTD casts were conducted to obtain the 2010 Ellett Line hydrographic section. A further 39 CTD profiles were conducted, after completion of the Ellett Line section, as part of a 24 hour station occupation above the Anton Dohrn seamount, during which time the CTD was repeatedly 'yo-yoed' from the surface to a depth of ~800m, and as part of a short survey away from the seamount itself. The data were processed using PEXEC routines, using different scripts for the stainless steel frame and the titanium frame. Further details on the processing can be found in the cruise report. The data were calibrated post-cruise and further details can be found in the post cruise calibration report.